Walter R. Borneman may be best-known in Colorado's mountains as the co-author of A Climbing Guide to Colorado's Fourteeners, the history and standard routes of Colorado's 54 peaks above 14,000 feet, first published in 1978 and in-print for 25 years. He also has a master's degree in history and is the author of 10 books and numerous articles about mountains, railroads, and the American West, including Alaska: Saga of a Bold Land (Harper), a finalist for the 2004 Colorado Authors Book Award; 1812: The War that Forged a Nation (Harper); The French and Indian War: Deciding the Fate of North America (Harper), winner of the 2007 Society of Colonial Wars for the State of New York Book Award; and Polk: The Man Who Transformed the Presidency and America, winner of the 2008 Tennessee Library Association History Book Award. His story of the race to build the southwestern transcontinental railroad will be published in 2010. Borneman has given keynote talks to historical societies and presidential sites across the country, such as the Colorado Historical Society, the Alaska Historical Society, and both the James K. Polk birthplace and ancestral home. Borneman served as the first chairman of the Colorado Fourteeners Initiative (1996-99) and is on the board of the Colorado Mountain Club Foundation. He was the heritage coordinator for the Colorado Centennial-Bicentennial Commission (1975-76), and the assistant to the director and acting director of the Colorado Historical Society (1977-80). 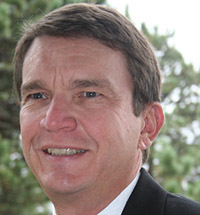 Borneman has undergraduate and graduate degrees in history from Western State College of Colorado (1974, 1975) and wrote his master's thesis on a town characteristic of the western mining frontier. He received his law degree from the University of Denver (1981) and his practice frequently involved historic preservation issues. From 1982 to 1985, he represented the Colorado Historical Society in the reconstruction of the Georgetown Loop Mining and Railroading Park in one of the West's premiere national historic landmark districts. Currently, he is the president of the Walter V. and Idun Y. Berry Foundation, which funds post-doctoral fellowships in children's health at Stanford University. "Thank you very much for your excellent presentation at the Polk Family Reunion. I have received nineteen book orders from Reunion attendees (as well as numerous compliments for simply inviting you to speak at the event.)" "They loved you....nothing but praise on every level. Filson, by the way, is a great reference. Thank You for a job brilliantly done." "Mr. Borneman's book . . . is colorful and replete with anecdotes of those who became famous: Commodore Oliver Hazard Perry, who won Lake Eerie; David Farragut, who would later damn the torpedoes at Mobile Bay; President Madison, who had declared war on Britain." "Without question this is the best popular account of the last war fought between the United States and Great Britain that is little known by Americans today. In a gripping narrative the author not only explains the importance of the War of 1812 but vividly recreates its exciting land and sea battles, concluding with the stunning victory won by a rag-tag American army in New Orleans." "Thoroughly readable . . . this sound introduction will propel those whose curiosity is piqued to read further in all directions." "This is the most accessible of all the Alaska histories." "I think that Walter Borneman's book on Alaska is just plain terrific. It tells the reader everything conceivable that he might want to know about Alaska from the time of its discovery by Bering in 1741 to the present." "Often referred to as the Last Frontier, Alaska has captivated the imagination of many over the centuries. Western writer Borneman has done an excellent job of describing why this fascination exists.... Engaging chapters detail the important events and those who helped shape Alaska's history. Of note are the fascinating sections on Alaska's important contributions to the Allied victory in World War II and the 1964 Good Friday earthquake. This expansive, comprehensive history is recommended." "This is narrative history told in superlatives. We meet waves of insistent humanity: Alaska Natives, fur hunters, river explorers, dogsled drivers, and incurable gold hunters (women included). Worst of all are the dripping oil tankers bigger than football fields. Can today's environmentalists slow down any of this headlong rush while maintaining the allurements of exploitation? Form your own answer as you thumb through Walter Borneman's gripping pages and crisp maps." 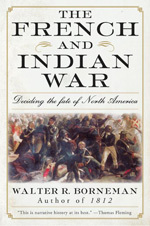 "Borneman manages to pull [many] threads together into a comprehensible and entertaining narrative.... [His] biography gives Polk his due." "With impressive exuberance...Borneman rightly describes his subject as America's greatest expansionist president." "Borneman is a trailblazer in the mold of his subject...producing a volume that can stand with all but the very best presidential biographies." "Walter Borneman has written an entertaining and thoroughly documented portrait of one of America's most powerful l -- and perhaps one of the least known -- presidents."